The StFX X-Men performed their best Muhammad Ali impression and pulled off a rope-a-dope at the ENMAX Centre on Friday night. StFX were able to overcome a three-goal deficit and outlast the Queen’s Gaels to advance to the semifinals of the 2019 U SPORTS Cavendish Farms University Cup. StFX came into this game as the sixth-seeded team, facing a stiff challenge from third-seeded Queen’s. To secure the victory, the X-Men needed to mount a furious comeback after surrendering three early goals to the OUA champion Gaels. 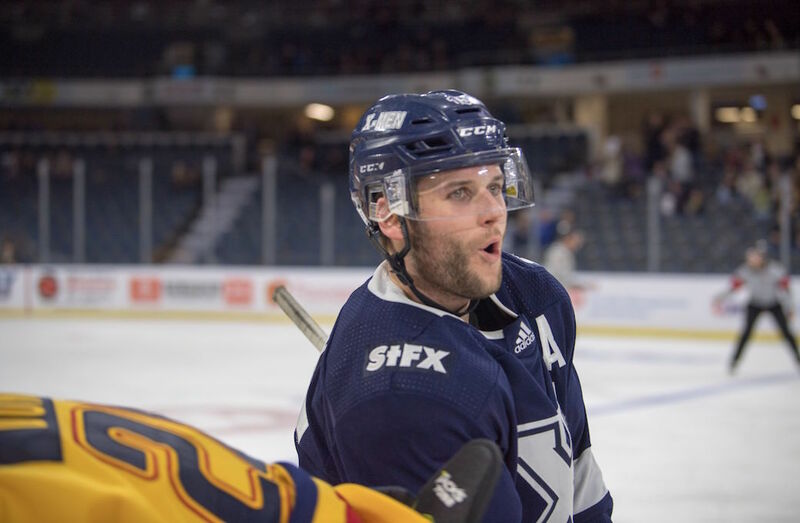 The StFX players would ultimately exemplify their coach’s post-game comments by keeping the Gaels off the scoresheet after the first period en route to a 5-3 victory. Queen’s came out of the gates with speed and precision and were the better team early. The Gaels would open the scoring just after the six-minute mark, following a tripping penalty to Cook. Gaels fourth-year forward Luke Edwards was able to find the net on the power play by tipping a point blast from defenceman Nevin Guy. Edwards would strike again just over four minutes later. After accepting a nifty entry pass from forward Jaden Lindo, Edwards would speed in on a partial break, and snap a wrist shot just over the blocker of StFX goaltender Chase Marchand. The torrid pace would continue for the Gaels when third-year rearguard Francesco Vilardi streaked to the net from the right point and accepted a cross-ice feed from forward Owen Stout and tap the puck into the open side. StFX would get on the board late in the period on a power play goal. 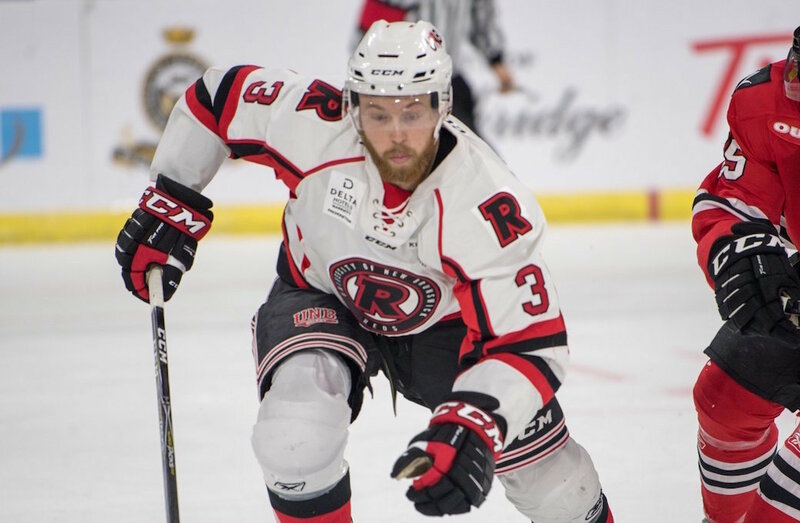 Cook was able to light the lamp by firing a puck short side after corralling it off of a huge bounce from the end boards. From there, the comeback was on. The second stanza was a tightly checked period featuring lots of physical play. StFX would cut the Gaels lead to one with the only goal of the period at the 13:37 mark. Fifth-year forward Adam Stevens was able to get just enough lumber on the puck to beat the Gaels’ second team OUA all-star goaltender, Justin Fazio. StFX pressed hard to find the equalizer early in the third period. Cook drew his team even just after a Gaels penalty had expired. A scrum ensued in front of the Queen’s net and Cook was able to pounce on a loose puck in the slot for his second goal of the game. The X-Men would get their first lead of the game just past the 14-minute mark of the third period. After a defensive coverage breakdown by the Gaels, StFX second-year forward Adam Laishram would find himself all alone in the front of the net. He made no mistake and rifled a wrister to the top corner to bulge the twine. Ultimately, StFX third-year forward Sam Studnicka would ice the game for the X-Men with an empty netter with just 42 seconds left. “We’ve been in that position a few times this year and that makes a big difference,” said Stevens. It made a big difference on this night at the ENMAX Centre in Lethbridge, Alta. While the tournament is over for Gaels, StFX advances to face the UNB Reds in the semifinals. Puck drop is set for 8:00 p.m. ET/ 5:00 p.m. PT Saturday on Sportsnet 360 and Sportsnet Now.